We are partnering with parents to raise up the next generation. We recognize parents have a big responsibility as the primary spiritual leaders of their children. Our desire is to partner with families to provide the tools necessary to grow in their faith. Learn more about the different classes we offer and milestones we recognize below. Our First Steps Parent Class introduces a biblical vision for Christian parenting. We ask a parent to attend this class before participating in our Child Dedication Celebration to make sure they have all the information they need to start investing in their student’s spiritual life early. Child dedication is a public expression of your commitment to lead and spiritually nurture your child. At Fellowship, dedications can be either in a Sunday worship service or baby dedication service. Our Making Waves Baptism Service is a night of celebration as we come together to celebrate new life in Christ with children and students who are professing their faith through baptism. Before the service, children and students are invited to attend our Making Waves Baptism Class where we help your child think through this big step of faith. This class will cover the meaning of baptism and why one gets baptized. 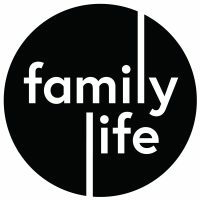 This is a one-hour class for parents where we will share tips on modeling your faith at home and becoming more comfortable sharing your faith with your child. We will discuss key concepts related to sharing the gospel and offer practical tips for discussing faith issues with young children and students. The 8th Grade Retreat is the long-awaited rite of passage marking the end of middle school and the journey into high school. These are gender-specific (i.e. guys with guys, girls with girls) to create a safe space where they can learn what it means make their relationship with God their own and link arms with like-minded friends and leaders. We have guest speakers, personal testimonies, interactive games, and powerful visual representations to lead our students into a deeper understanding of Christ and themselves. Every May, we take time to honor the accomplishments of our graduating seniors and commission for the next chapter in their lives. On a Sunday morning, we have displays in the foyer of the Worship Center to highlight our graduating seniors. That night we have a banquet where parents get a chance to honor their students and celebrate as a family. Brenda was born in Rapid City, South Dakota, while her father was stationed at Ellsworth Air Force Base. Her family moved numerous times until she was in the fifth grade, when they relocated to Blytheville, Arkansas. One of her favorite memories is the summers she spent in West Tennessee with her grandparents and extended family. As one of four sisters, Brenda found herself in the role of a caregiver. Little did she know at that time, God was preparing her for the shepherding role she would have in children’s lives. At the age of 13, she and her older sister began attending a Baptist church through a bus ministry. While there, the Wilson family invested and cared for Brenda in a special way, including leading her to accept Jesus. Their influence encouraged Brenda to believe that God had a plan for her life. Through their example, she had a role model of Christians who loved to invest in children. After graduating from Blytheville High School, Brenda moved to Jackson with plans to pursue college. As often happens, God has a way of redirecting a person’s path. This was Brenda’s experience. In 1987, she met Frank Stanley and married him two years later, becoming a step-mom to four children. Brenda also began a career as a Medical Assistant and later a Nutritional Specialist. Brenda and Frank moved to Michigan where they attended Faith Baptist Church. She served in the Awana program as a volunteer, working with children. Although Brenda had become a Christian as a child, it was not until this experience that the seeds of faith began to grow. She signed up for Bible Study Fellowship (BSF) and began her first Bible study on September 11, 2001. Brenda always felt that God was walking with her, but she then began to feel that she was walking with God. The leadership of her local BSF recognized Brenda’s gift for working with children and encouraged her to become a leader. After relocating to Texas, Brenda served as a BSF Children’s Leader for four years. She began attending Oak Hills Church and volunteering in their children’s program. Once again the leadership recognized God’s gifts in Brenda. 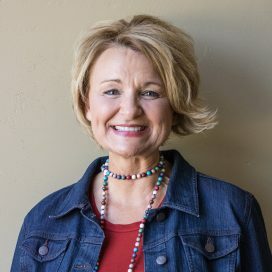 She soon joined the staff, where she served for three years as part of the Bibleland Buddies Team until family needs brought Brenda and her husband back to Jackson. They joined Fellowship shortly after their return to West Tennessee. An opportunity to serve with Fellowship Kids as lead teacher came immediately. She jumped in and began doing what she does best—loving on kids and helping them get to know Jesus. An opportunity came to join the staff as the coordinator of Kids & More, the Wednesday morning childcare program for Women’s Ministry. Soon she was working full-time as the Early Childhood Coordinator. In the summer of 2011 Brenda accepted the position as the Director of Fellowship Kids. Wherever she has served, church leadership, parents, and children have all quickly recognized that Brenda has a genuine heart for children. Kristopher “Boz” Boswell was born and raised in Northern California where he spent 21 years before joining the United States Army. During his military career, Boz reached the rank of sergeant, met his wife Britt, and also accepted Jesus Christ as his personal Lord and Savior. Early in 2012, as Boz was in his second tour overseas, he was informed that he had an autoimmune reaction to a vaccination that led to the development of Type 1 diabetes and that he would be medically discharged. After much struggle, prayer, and counsel, Boz was honorably discharged in November of 2013. Boz and Britt landed near Britt’s family in Jackson TN. They found Fellowship and knew right away that it was home. 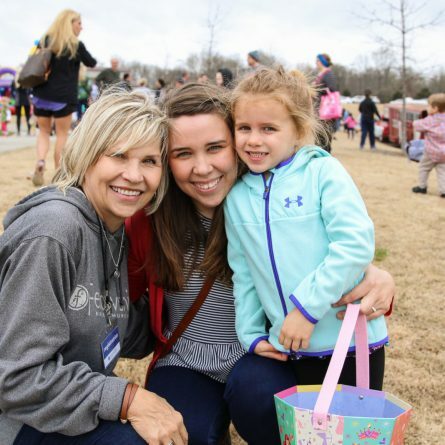 Boz began volunteering with the Middle School Youth ministry that winter and continued to serve while pursuing an undergraduate degree in Education from Union University. Volunteering led to an internship where Boz began to truly understand what youth ministry was for and how his gifts would help grow the ministry. In August 2016, Boz was asked to take the role of Interim Middle School Youth Director while also finishing his last year of school. 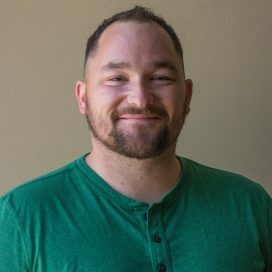 After he graduated with his Bachelor’s degree in Education in May 2017, Boz accepted a full-time position as the Middle School Youth Director at Fellowship. He also began a Masters of Divinity in Pastoral Studies program through Southern Baptist Theological Seminary. Boz looks forward to what God has for him as he continues to invest in the lives of Middle School students. His hope is that each teenager that comes to Fellowship Student Ministries will not only come to understand the Gospel, but that they will come to know Jesus Christ himself. Doug Barnwell has long loved Jackson, TN. From bringing students here for Centrifuge to his experience with Union University’s extension program in Birmingham, the Lord has long used members of this community to bless him and his ministry. Doug married his wife, Julie, in March of 2010. They met on a mission trip in 2003. Though Julie claims Doug fell for her at first glance, the two remained long-distance friends for the next six years. They have two daughters, Cora Mae and Audrey. Doug has been the High School Pastor at Fellowship Bible Church since May of 2016. 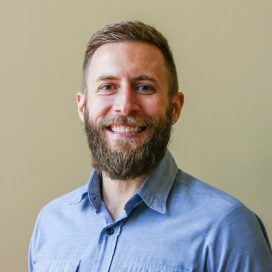 He began working with students in 2002 and has degrees from Beeson Divinity School in Birmingham, AL (MDiv), Union University in Jackson, TN (MCS), and the University of Alabama at Birmingham in Birmingham, AL (BA, BS). He is currently pursuing a PhD in Biblical Theology from Midwestern Baptist Theological Seminary in Kansas City, MO.